Every day, social service agencies collect millions of pieces of data about the children and families they serve. Agencies depend on this data to inform decision-making by personnel throughout the organization and to provide meaningful research and evaluation on program effectiveness and outcomes. As capacity for collecting and utilizing data has increased so has the recognition that this data can and should be used more broadly. Further, it should include not just single-system data, but data across different human service agencies. 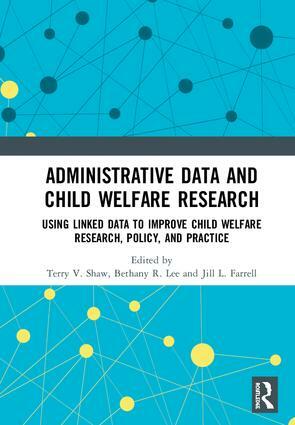 Administrative/big data systems can be powerful tools in increasing the efficiency and effectiveness of public child welfare services. Understanding, harnessing, and using big data holds tremendous promise in creating transformative change in the social services. Data analytics and data mining can lead to a better understanding of what services work for specific populations (targeting and predictive modelling), provide a more nuanced understanding of service outcomes for the workforce and major stakeholders (transparency), and facilitate collaboration across existing service delivery silos to reduce duplication of services and enhance consumer access to services (efficiency). This book was originally published as a special issue of the Journal of Public Child Welfare.